As we recover from the devastation caused by Hurricane Sandy, many of Nassau County’s residents continue to struggle with the myriad of insurance and other legal issues that accompany major property damage claims. 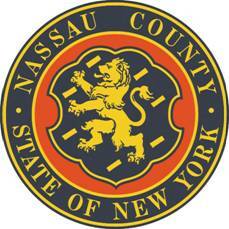 To assist our residents affected by this historic storm, on January 23rd County Executive Ed Mangano will host the Nassau County Bar Association from 9:30 - 11:30 A.M. at 40 Main Street in Hempstead. Volunteer attorneys will be on hand to help answer any questions and to provide free Sandy-related legal consultation for affected residents. Additionally, representatives from FEMA will be on hand to help residents identify the resources that are available to assist in their recovery efforts. I hope this information helps. Please contact my office at 516-571-6206 or by emailing me at: fbecker@nassaucountyny.gov if you have any questions.